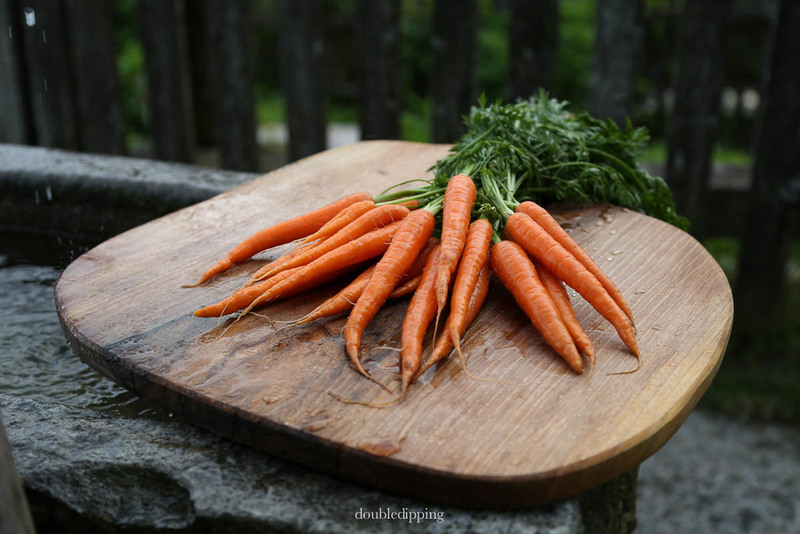 Cut the greens off the young carrots and leave an inch or 3 cm on for the fun of it. 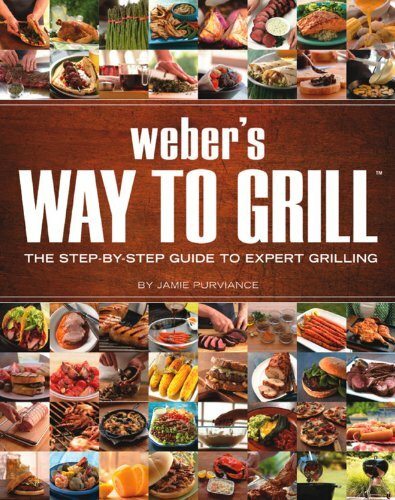 We have a Weber Grill where we can adjust the heat by Temperature. 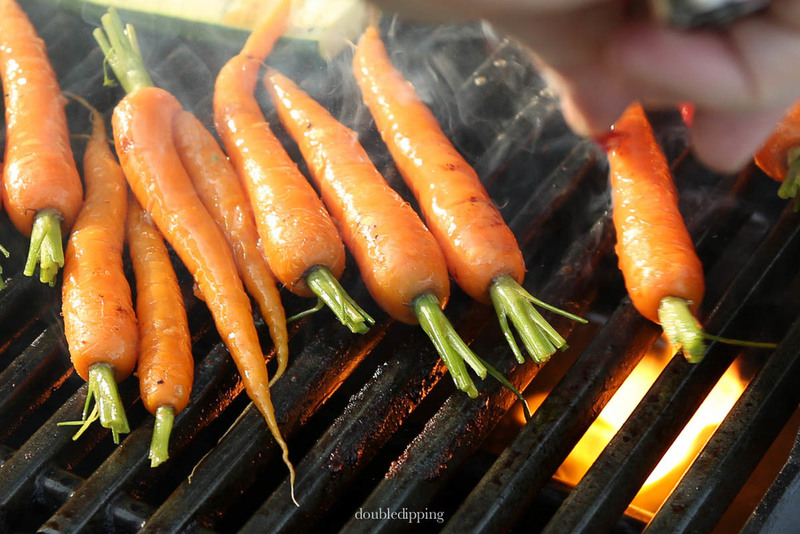 On middle heat, which would be around 175°C, we place the carrots on the rack and grill them for 6 minutes max turning them over once. When ready we remove the carrots and once glazing them again in the marinade and sprinkle them with chopped chervil. I try not to use parsley all the time when it says to do so in a recipe, it's available all year round and kind of boring pairing it with carrots all the time. I love the taste of chervil. Please try it out, you might love it too.